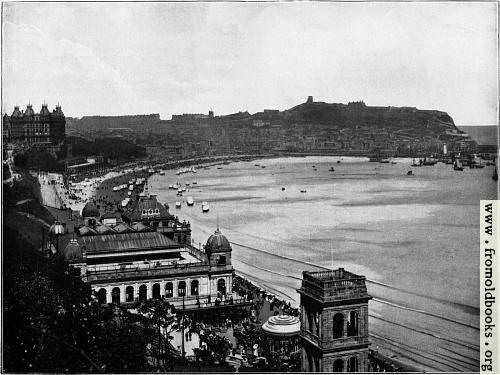 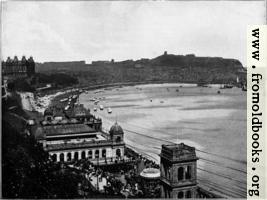 A fairly crowded beach even by modern standards, with Victorian bathing machines. From a Photo. by Poulton & Son.